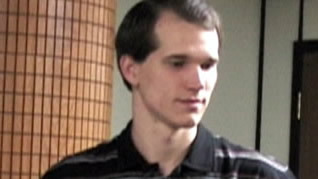 Charles Eichmann is a web designer/programmer, and freelance webmaster. He is the lead web developer at SimonHouses.com. Previously, Charles was the full-time Manager of Web Marketing in the School of Divinity at Regent University. Charles married Alicia Pickett on October 6th, 2007. They have one son. You can find out more about Charles' past here. Charles has been and will be a positive-change communicator. His interests include the study of communication and emerging web technologies. Charles enjoys camping and other outdoor activities (flag football, ultimate frisbee, disc golf) when not surfing the internet or watching TV in high-definition. Additionally, Charles and Alicia have accumulated a stash of DVD videos sufficient to last any holiday weekend. Charles has attended Old Dominion University in Norfolk, VA; Oral Roberts University in Tulsa, OK. He completed his Master's Degree in Communication from Regent University in May 2007. Charles lives in Virginia Beach, Virginia.